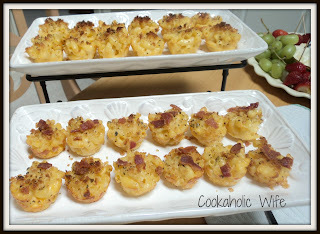 When I first started to think about foods for the bingo, I immediately thought of mac and cheese but wanted a way to make it bite sized and relatively portable. These were a pretty big hit at the bingo. Everyone thought they were super cute. If only there was a way to keep them warm and looking pretty, I think they would have all disappeared in minutes. 1. Preheat the oven to 400. Spray a mini cupcake pan with non-stick cooking spray. 2. Bring a pot of lightly salted water to a boil. Cook pasta according to package directions for al dente. Drain and return to the pot. 3. Meanwhile, in a small bowl, whisk together the egg, milk, Italian seasonings, crushed red pepper, salt and pepper. 4. Add the cheese to the pot with the cooked macaroni and stir until melted. Pour the egg and milk mixture into the pot and stir until combined. 5. Spoon the mac and cheese into the cupcake pan, filling to the top. 7. If using optional toppings, melt the butter and mix the breadcrumbs into it. Sprinkle over the mac and cheese cups. Return to the oven for 3-4 minutes or until crispy. 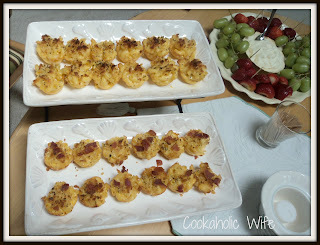 Or top mac and cheese cups with cooked bacon. 8. Let cool 5 minutes before gently removing from the pan with a rubber spatula or spoon. Adorable and tasty. What is better than that? I was a bit hesitant that they would stick to the pan, but a super liberal spraying of the non-stick cooking spray definitely helped out. You could also place these into mini muffin liners after baking for presentation purposes. In the comments of the original recipe it seems some tried to bake with the liners on and ended up with them melting into the mac and cheese. Paper may be a great source of fiber, but I think its’ something worth passing on. 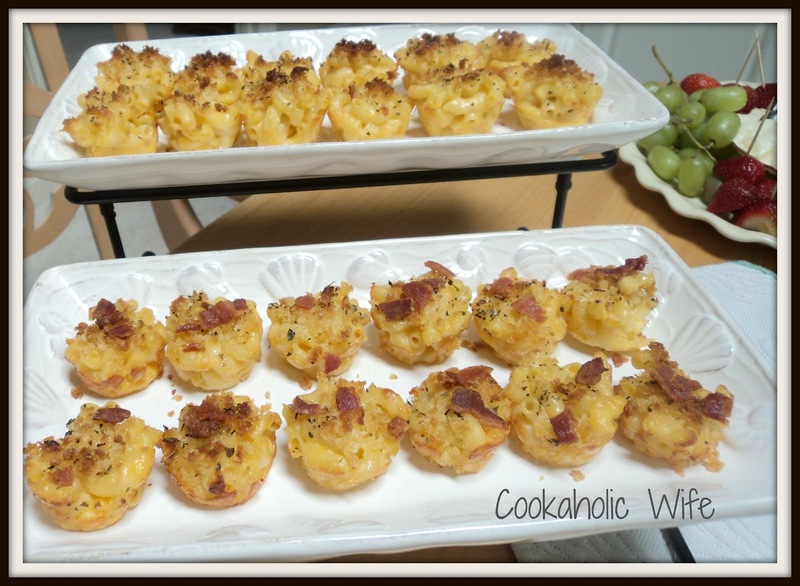 These mac and cheese cups look amazing! Love that they're bite-sized!